At present, the vast majority of construction waste ends up in landfills, with approximately 8,000lbs worth of landfill waste produced from the construction of each 2,000 square foot building. Waste generated through construction ranges from basic materials like bricks, wood and concrete, right the way through to electrical materials and materials used for insulation. Many construction materials, including plasterboard, release toxic substances when subjected to landfill conditions, while solvents and materials which have been chemically treated can cause pollution to soil and the water. Moreover, construction waste can often contain other hazardous substances, including asbestos or lead. As a result, construction waste recycling is incredibly important and can be achieved at a little extra cost, through some simple habit changes. The basis of recycling construction materials is an on-site separation of waste products. Some materials, such as waste wood and rubble, can be recovered and recycled for similar usage. Many other waste materials can be donated straight to construction organisations, reducing the amount sent to landfill. 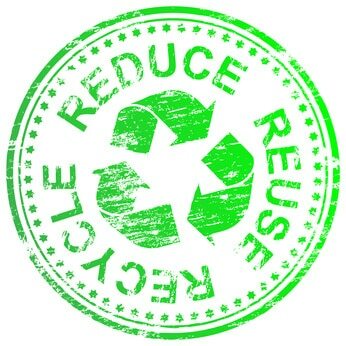 At Thortech we make sure to take care of the planet, using recycled materials whenever possible. Want an environmentally responsible team working for you? Get in touch! This entry was posted in Environment and tagged eco, eco friendly, environment, green, recycle, recycling. Bookmark the permalink.